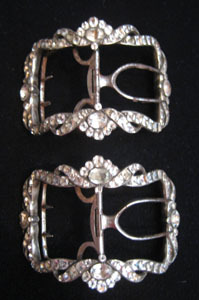 Reproduction 18th Century Shoe Buckles - NEW in the shop! How the heck do you keep 18th century latchet shoes closed? 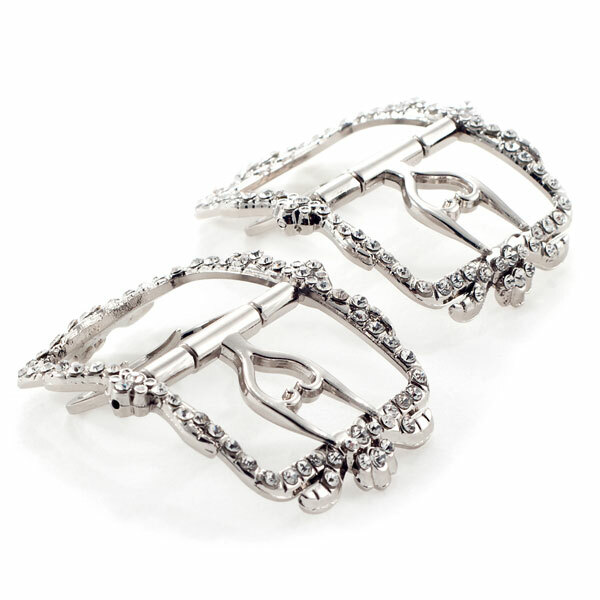 Why, buckles, of course! 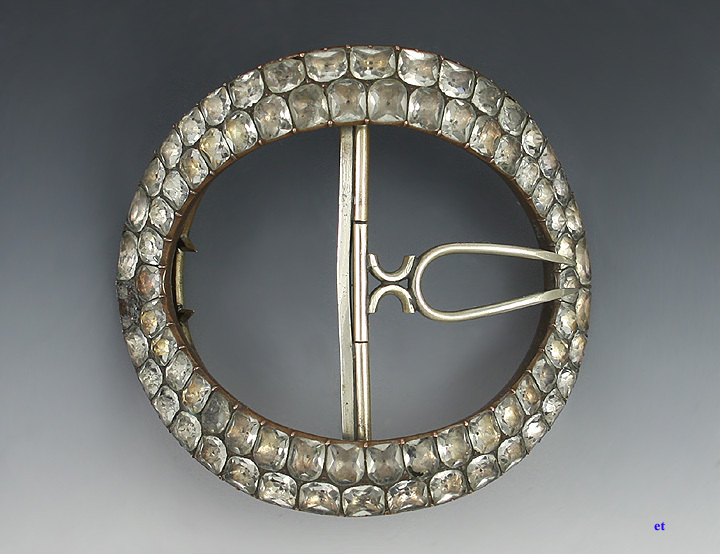 ...but not just any buckles, as I learned. 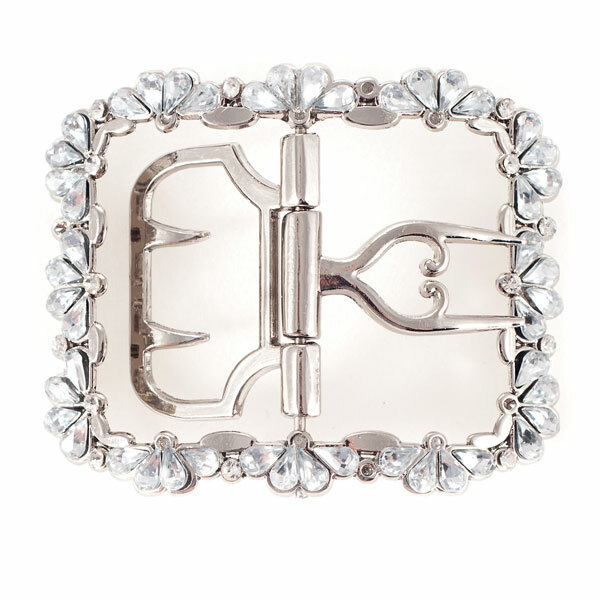 Shoe buckles are a special kind of buckle that has both a tongue and a chape, both with spikey bits that secure them to the two straps on your shoes. 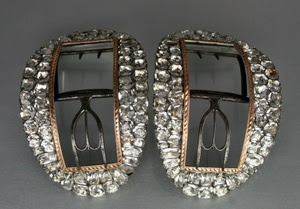 You can't buy these today, probably because people realized that lacing or buttoning shoes closed were way better ideas that buckling them closed with these complicated thing-a-ma-bobs. 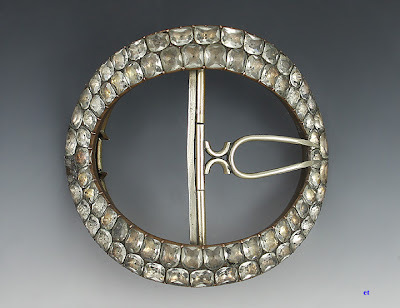 Why were shoe buckle the thing to wear in the 18th century? - They were a status symbols - jewels on your feet! 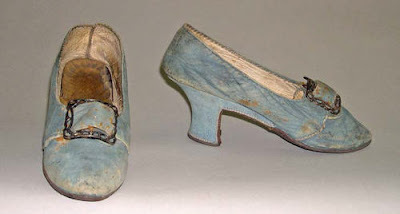 So we went and made two styles of 18th century latchet shoes for you - Georgianas and Devonshires - and will make more latchet shoes in the future, but just as I was frustrated with the selection of historical footwear, so did I find myself frustrated with the selection of buckles too. 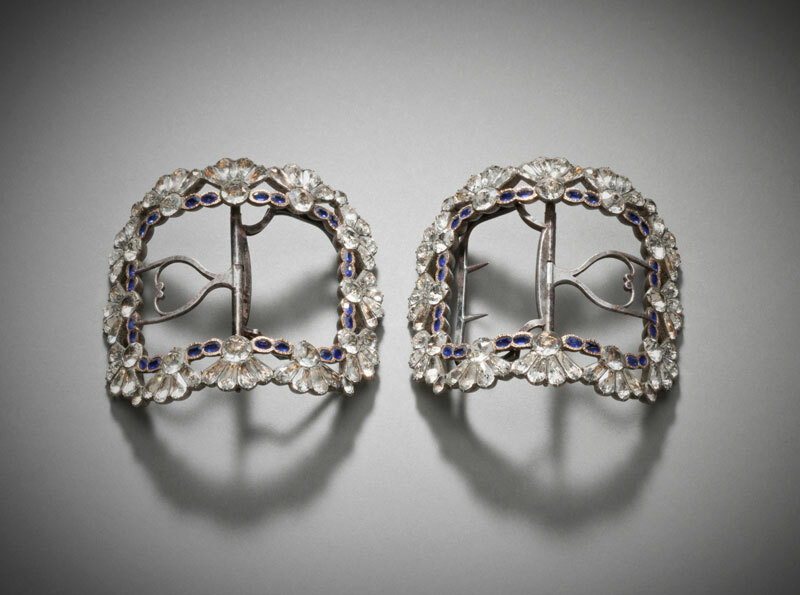 Everything available was cast brass, heavy, clunky, too big for dainty ladies' feet, and where were the paste stones? 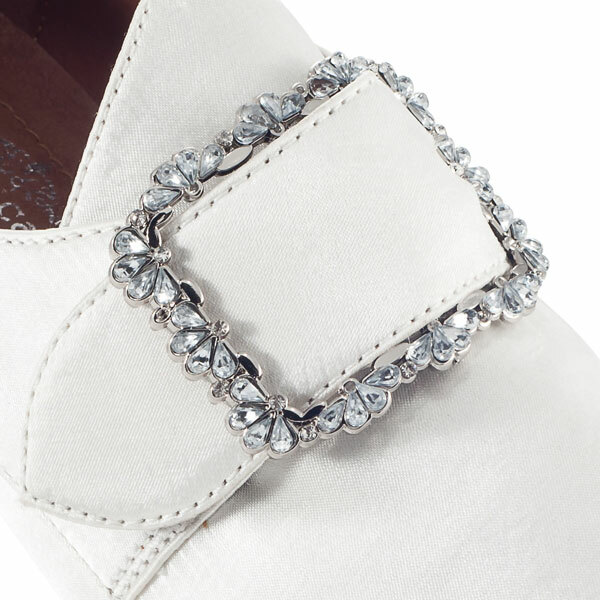 "Fleur" and "Dauphine" are reproduction, working, historically accurate shoe buckles, made of silver-plated cast nickel, and with high quality glass rhinestones. Read more about them and buy them in the American Duchess store. 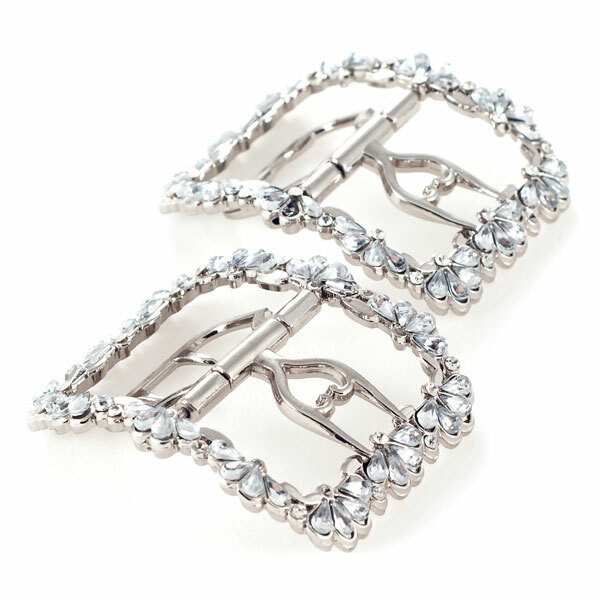 Both Fleur and Dauphine buckles are available to order right now, while they're in production - $40/pair, and they come in their own little powder blue velveteen American Duchess bag. Those yellow and white shoes are my favorite pair in the whole world! Tell me you're going to make that style, right?! Please?